Abstract：The heavy metal bioaccumulation levels and characteristics of waterfowls are important to understanding the physical condition of wetland ecosystem and habitat security of waterfowls. In this research, by using non-invasively sampling method, we collected the eggshells of little egrets (Egretta garzetta) and grey herons (Ardea cinerea) and the soil samples of their foraging habitats in Da Zizui village of Duchang county, which located in the north area of Poyang Lake in 2016. Inductively Coupled Plasma Mass Spectrometry was used to analyze the abundances of residual 8 types of heavy metals (Cr, Cu, Ni, Zn, As, Pb, Cd, and Hg) in E. garzetta and A. cinerea, and the bioaccumulation profiles of 8 metals in the foraging habitat soils. The results showed that Zn had the highest concentration in the eggshells of the 2 species, while Cd had the lowest. Among these metals, only Pb was extremely significantly enriched in A. cinerea compared with that in E. garzetta (P<0.01). In terms of bioaccumulation profiles, Hg was the highest in the eggshells of E. garzetta and A. cinerea, while As was the lowest. Comparison of heavy metal bioaccumulation between E. garzetta and A. cinerea showed that the bioaccumulation of Pb was significantly higher in A. cinerea (P<0.01). 陈小麟. 2011. 滨海湿地鸟类的动物生态与保护生物学研究[J]. 厦门大学学报(自然科学版), 50(2): 484-488. 崔丽娟, 张曼胤. 2006. 鄱阳湖与长江交汇区陆域重金属含量研究[J]. 林业科学研究, 19(3): 307-310. 董元华, 龚钟明, 王辉, 等. 2002. 无锡鼋头渚夜鹭体内重金属残留与分布特征[J]. 应用生态学报, 13: 213-216. 国家环境环保局, 国家技术监督局. 1995. 中华人民共和国土壤环境质量标准[EB/OL]. [1995-07-03]. http://www.mep.gov.cn/gkml/hbb/bgth/200910/t20091022_1750-55.htm. 郝宇琦, 马志龙, 周学红, 等. 2015. 鸟类在湿地汞循环和汞监测中的作用[J]. 湿地科学, 13(5): 551-558. 纪伟涛, 吴英豪, 吴建东, 等. 2006. 环鄱阳湖越冬水禽航空调查[J]. 江西林业科技, (3): 36-44. 简敏菲, 弓晓峰, 游海, 等. 2004. 鄱阳湖水土环境及其水生维管束植物重金属污染[J]. 长江流域资源与环境, 13(6): 589-593. 林琳, 陈小麟. 2005. 厦门白鹭卵的重金属含量分析[J]. 厦门大学学报(自然科学版), 44(s1): 50-53. 林琳. 2007. 鹭类食物的重金属含量及其对鹭卵的影响[D]. 厦门: 厦门大学. 刘利, 张乐, 孙艳, 等. 2017. 包头南海湿地夜鹭卵7种重金属含量分析[J]. 内蒙古大学学报(自然科学版), 48(6): 672-677. 权轻舟. 2017. 国内湿地重金属污染评价的研究进展[J]. 中国农学通报, 33(8): 60-67. 王强, 吕宪国. 2007. 鸟类在湿地生态系统监测与评价中的应用[J]. 湿地科学, 5(3): 274-281. 王晓彦, 陈小麟, 林清贤, 等. 2009. 黄嘴白鹭卵的重金属含量与分布分析[J]. 厦门大学学报(自然科学版), 48(4): 606-609. 夏秋烨, 倪才英, 赵中华, 等. 2014. 鄱阳湖夏候鸟小白鹭对环境样品中重金属的富集研究[J]. 长江流域资源与环境, 23(11): 1540-1544. 曾南京, 刘观华, 余定坤, 等. 2016. 江西鄱阳湖国家级自然保护区鸟类种类统计[J]. 四川动物, 35(5): 765-773. 周立志, 李进华, 尹华宝, 等. 2005. 三种重金属元素在鹭卵中富集特征的初步研究[J]. 应用生态学报, 16(10): 1932-1937. 周立志, 李进华, 张磊, 等. 2006. 颍上八里河自然保护区鹭卵3种重金属残留分析[J]. 动物学杂志, 41(2): 48-52. 朱奇, 刘观华, 曾南京, 等. 2012. 鄱阳湖国家级自然保护区白鹤、东方白鹳和小天鹅种群数量与分布[J]. 湿地科学与管理, 8(4): 53-56. Abdullah M, Fasola M, Muhammad A, et al. 2015. Avian feathers as a non-destructive bio-monitoring tool of trace metals signatures: a case study from severely contaminated areas[J]. Chemosphere, 119: 553-561. Ackerman JT, Eagles-Smith CA, Herzog MP, et al. 2016. Maternal transfer of contaminants in birds: mercury and selenium concentrations in parents and their eggs[J]. Environmental Pollution, 210: 145-154. Arnot JA, Gobas FA. 2006.A review of bioconcentration factor (BCF) and bioaccumulation factor (BAF) assessments for organic chemicals in aquatic organisms[J]. Environmental Reviews, 14(4): 257-297. Ayaş Z. 2007. Trace element residues in eggshells of grey heron (Ardea cinerea) and black-crowned night heron (Nycticorax nycticorax) from Nallihan Bird Paradise, Ankara-Turkey[J]. Ecotoxicology, 16(4): 347-352. Bize P, Roulin A, Richner H. 2002. Covariation between egg size and rearing condition determines offspring quality: an experiment with the alpine swift[J]. Oecologia, 132(2): 231-234. Boncompagni E, Muhammad A, Jabeen R, et al. 2003. Egrets as monitors of trace-metal contamination in wetlands of Pakistan[J]. Archives of Environmental Contamination and Toxicology, 45(3): 399-406. Burger J, Gochfeld M, Sullivan K, et al. 2007. Mercury, arsenic, cadmium, chromium lead, and selenium in feathers of pigeon guillemots (Cepphus columba) from Prince William Sound and the Aleutian Islands of Alaska[J]. Science of the Total Environment, 387(1-3): 175-184. Burger J, Gochfeld M. 2004. Metal levels in eggs of common terns (Sterna hirundo)in New Jersey: temporal trends from 1971 to 2002[J]. Environmental Research, 94(3): 336-343. Burger J, Gochfeld M. 2007. Metals and radionuclides in birds and eggs from Amchitka and Kiska Islands in the Bering Sea/Pacific Ocean ecosystem[J]. Environmental Monitoring & Assessment, 127(1-3): 105-117. Burger J, Gochfeld M. 2009. Mercury and other metals in feathers of common eider (Somateria mollissima)and tufted puffin(Fratercula cirrhata) from the Aleutian chain of Alaska[J]. Archives of Environmental Contamination and Toxicology, 56(3): 596-606. Burger J. 1994. Heavy metals in avian eggshells: another excretion method[J]. Journal of Toxicology and Environmental Health, 41(2): 207-220. Burger J. 1998. Effects of lead on sibling recognition in young herring gulls[J]. Toxicological Sciences, 43(2): 155-160. Connell DW, Wong BS, Lam PK, et al. 2002. Risk to breeding success of Ardeids by contaminants in Hong Kong: evidence from trace metals in feathers[J]. Ecotoxicology, 11(1): 49-59. Covaci A, Gheorghe A, Hulea O, et al. 2006. Levels and distribution of organochlorine pesticides, polychlorinated biphenyls and polybrominated diphenyl ethers in sediments and biota from the Danube Delta, Romania[J]. Environmental Pollution, 140(1): 136-149. Di GR, Scanlon PF. 1985. Effects of cadmium ingestion and food restriction on energy metabolism and tissue metal concentrations in mallard ducks (Anas platyrhynchos)[J]. Environmental Research, 37(2): 433-444. Donald JM, Cutler MG, Moore MR, et al. 1981. Development and social behaviour in mice after prenatal and postnatal administration of low levels of lead acetate[J]. Neuropharmacology, 20(11): 1097-1104. Drent PJ, Woldendorp JW. 1989. Acid rain and eggshells[J]. Nature, 339(6224): 431. Fasola M. 1986. Resource use of foraging herons in agricultural and nonagricultural habitats in Italy[J]. Colonial Waterbirds, 9(2): 139-148. Furness RW. 1993. Birds as monitors of pollutants[M]// Furness RW, Greenwood JJD. Birds as monitors of environmental change. Netherlands: Springer: 86-143. Hashmi MZ, Malik RN, Shahbaz M. 2013. Heavy metals in eggshells of cattle egret (Bubulcus ibis) and little egret (Egretta garzetta) from the Punjab province, Pakistan[J]. Ecotoxicology & Environmental Safety, 89(3): 158-165. Ikemoto T, Kunito T, Tanabe S, et al. 2005. Non-destructive monitoring of trace element levels in short-tailed albatrosses (Phoebastria albatrus) and black-footed albatrosses (Phoebastria nigripes) from Torishima Island, Japan using eggs and blood[J]. Marine Pollution Bulletin, 51(8): 889-895. Jackson AK. 2017. You are what, when, where, and how you eat: mercury in avian food webs across multiple spatial scales[D]. Oregon: Oregon State University. Jakubas D, Mioduszewska A. 2005. Diet composition and food consumption of the grey heron (Ardea cinerea) from breeding colonies in northern Poland[J]. European Journal of Wildlife Research, 51: 191-198. Jayasena N, Frederick PC, Larkin IL. 2011. Endocrine disruption in white ibises (Eudocimus albus) caused by exposure to environmentally relevant levels of methylmercury[J]. Aquatic Toxicology, 105(3-4): 321. Katner A, Sun MH, Ogunyinka E, et al. 2013. A methylmercury risk screening assessment to identify fish species and populations of potential concern[J]. Journal of Public Health Frontier, 2(3): 156-165. Kim J, Oh JM. 2014. Lead and cadmium contaminations in feathers of heron and egret chicks[J]. Environmental Monitoring and Assessment, 186(4): 2321-2327. Kim J, Oh JM. 2015. Tissue distribution of heavy metals in heron and egret chicks from Pyeongtaek, Korea[J]. Archives of Environmental Contamination and Toxicology, 68(2): 283-291. Kitowski I, Sujak A, Wiacek D, et al. 2013. Trace elements in eggshells of the grey heron (Ardea cinerea) from the colony in the Roztocze Hills (South East Poland)[J]. Acta Zoologica Lituanica, 23(3): 240-244. Kitowski I, Sujak A, Wiacek D, et al. 2014. Trace element residues in eggshells of grey heron (Ardea cinerea) from colonies of east Poland[J]. North-Western Journal of Zoology, 10(2): 346-354. Kojadinovic J, Bustamante P, Le CM, et al. 2007. Trace elements in three marine birds breeding on Reunion Island (Western Indian Ocean): part 2-factors influencing their detoxification[J]. Archives of Environmental Contamination and Toxicology, 52(3): 431-440. Lam JC, Tanabe S, Wong BS, et al. 2004. Trace element residues in eggs of little egret (Egretta garzetta) and black-crowned night heron (Nycticorax nycticorax) from Hong Kong, China[J]. Marine Pollution Bulletin, 48(3): 390-396. Liu J, Liang J, Yuan X, et al. 2015. An integrated model for assessing heavy metal exposure risk to migratory birds in wetland ecosystem: a case study in Dongting Lake Wetland, China[J]. Chemosphere, 135: 14-19. Lucia M, André JM, Gontier K, et al. 2010. Trace element concentrations (mercury, cadmium, copper, zinc, lead, aluminium, nickel, arsenic, and selenium) in some aquatic birds of the Southwest Atlantic coast of France[J]. Archives of Environmental Contamination and Toxicology, 58(3): 844-853. Luo J, Ye Y, Gao Z, et al. 2015. Heavy metal contaminations and influence on the red-crowned crane ( Grus japonensis ) in Wuyur catchments, northeastern China[J]. Environmental Earth Sciences, 73(9): 5657-5667. Matagi SV, Swai D, Mugabe R. 1998. A review of heavy metal removal mechanisms in wetlands[J]. African Journal of Tropical Hydrobiology and Fisheries, 8(1): 13-25. Mccullagh EA, Cristol DA, Phillips JB. 2015. Plumage color and reproductive output of eastern bluebirds (Sialia sialis) nesting near a mercury-contaminated river[J]. Environmental Letters, 50(10): 1020-1028. Miljeteig C, Gabrielsen GW, Strøm H, et al. 2012. Eggshell thinning and decreased concentrations of vitamin E are associated with contaminants in eggs of ivory gulls[J]. Science of the Total Environment, 431: 92-99. Moore CS, Cristol DA, Maddux SL, et al. 2014. Lifelong exposure to methylmercury disrupts stress-induced corticosterone response in zebra finches (Taeniopygia guttata) [J]. Environmental Toxicology and Chemistry, 33: 1072-1076. Naccari C, Cristani M, Cimino F, et al. 2009. Common buzzards (Buteo buteo) bio-indicators of heavy metals pollution in Sicily (Italy) [J]. Environment International, 35(3): 594-598. Oliveroverbel J, Agudelofrias D, Caballerogallardo K. 2013. Morphometric parameters and total mercury in eggs of snowy egret (Egretta thula) from Cartagena Bay and Totumo Marsh, north of Colombia [J]. Marine Pollution Bulletin, 69(1-2): 105-109. Orłowski G, Kaminski P, Kasprzykowski Z, et al. 2012. Metal interactions within and between tissues of nestling rooks Corvus frugilegus[J]. Biologia, 67(6): 1211-1219. Provencher JF, Forbes MR, Hennin HL, et al. 2016. Implications of mercury and lead concentrations on breeding physiology and phenology in an Arctic bird[J]. Environmental Pollution, 218: 1014-1022. ŞAhiN K, Tuzcu M, Smith MO, et al. 2009. Chromium supplementation: a tool for alleviation of thermal stress in poultry[J]. Nutrition and Natural Resources, 4(71): 1. Scheuhammer AM, Meyer MW, Sandheinrich MB, et al. 2007. Effects of environmental methylmercury on the health of wild birds, mammals, and fish[J]. Ambio, 36(1): 12-18. Shahbaz M, Hashmi MZ, Malik RN, et al. 2013. Relationship between heavy metals concentrations in egret species, their environment and food chain differences from two headworks of Pakistan[J]. Chemosphere, 93(2): 274-282. Shin JY. 2009. Studies on heavy metal accumulation and difference among species of Ardeidae[D]. Korea: Kyung Hee University. Simonetti P, Botté SE, Marcovecchio JE. 2015. Exceptionally high Cd levels and other trace elements in eggshells of American oystercatcher (Haematopus palliatus) from the Bahia Blanca Estuary, Argentina[J]. Marine Pollution Bulletin, 100(1): 495-500. Sorensen EMB. 1991. Metal poisoning in fish[M]. Ohio: CRC Press. Tartu S, Angelier F, Wingfield JC, et al. 2015. Corticosterone, prolactin and egg neglect behavior in relation to mercury and legacy POPs in a long-lived Antarctic bird[J]. Science of the Total Environment, 505: 180-188. Tartu S, Goutte A, Bustamante P, et al. 2013. To breed or not to breed: endocrine response to mercury contamination by an Arctic seabird[J]. Biology Letters, 9(4): 317. Wiener JG, Krabbenhoft DP, Heinz GH, et al. 2003. Ecotoxicology of mercury[J]. Handbook of Ecotoxicology, 2: 409-463. Zhang WW, Ma JZ. 2011.Waterbirds as bioindicators of wetland heavy metal pollution[J]. Procedia Environmental Sciences, 10: 2769-2774. 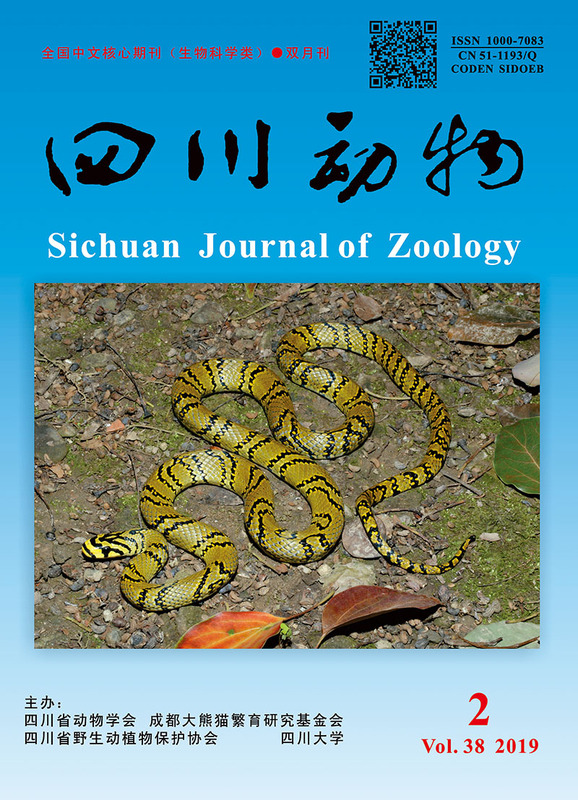 Zhang Y, Ruan L, Fasola M, et al. 2006. Little egrets (Egretta garzetta) and trace-metal contamination in wetlands of China[J]. Environmental Monitoring and Assessment, 118(1-3): 355-368.